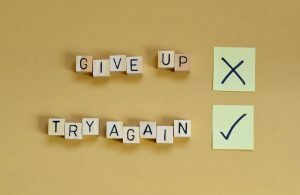 When You’ve Tried Before: Try Again! Posted March 29, 2019 by stewartwpboss & filed under Sleep Apnea, Sleep Disorders. We understand that from your perspective, you may feel like you’ve already tried. Rather than feeling disappointed, you figure it would be better to just do your best with your current sleep disorder and the sleep patterns they allow than to set yourself up to feel upset and defeated again! Fortunately, our Livonia, MI team can reassure you that whether you’ve tried DIY options, an oral appliance from another dental practice, or anything else, there are many more treatments to consider and details you may not yet know about. Come see us! You may have tried to treat your sleep disorder with home remedies. In some cases, this may prove somewhat helpful if it turns out you’re addressing issues like congestion that make matters worse. However, generally speaking, when you’re dealing with excessive snoring or sleep apnea, what you need is professional care (which is a much more advanced but minimally invasive option) for success. See us soon! Maybe you have already tried an oral appliance and you’re under the impression that if this form of sleep disorder treatment doesn’t work for something like sleep apnea, then you must be out of luck. The truth is, there are many more treatment options, such as CPAP therapy! So, before you assume you have tried it all, come in for our professional guidance and a broader world of options. As mentioned, you may have tried just a bit when it comes to addressing culprits that make matters worse for sleep apnea and other sleep disorders. However, if you have not yet taking a comprehensive look at your life and habits and made a complete attempt to make improvements, then there are likely things to be changed. Learn more from us when you visit our team! Again, you might feel like you’ve never stopped trying to make things better for your sleep. However, when your new goal is to seek professional care for sleep apnea, you may not know where to begin. Our suggestion, of course, is simple: Come in for a consultation with our team to get started, so we can steer you in the direction of successful rest. If you feel you have been to the ends of the earth and back in search of a solution for your sleep disorder but have not yet succeeded, it’s time to come see our team! We offer a comprehensive, personalized approach. James Stewart, DDS, and our team serve patients from Livonia, MI and the surrounding communities. To schedule a consultation, call our office today at (734) 425-4400.